Artificial limbs give Yemenis new lease of life.. When flying from Yemen to India in April for treatment, Hassan Abdullah Ahmadâ€™s left leg had already been amputated and he was told that his right leg would meet the same fate. However, the 33-year-old man was fortunate that his right leg was saved from amputation and an artificial limb substituted his left leg. He was informed by his doctor that he would be able to lead a normal life. Ahmad was driving through an Al Houthi stronghold in Abyan in Aden, when a militiaman stopped his vehicle for checking. Soon after, a bomb exploded and militiamen started firing at Ahmadâ€™s vehicle. 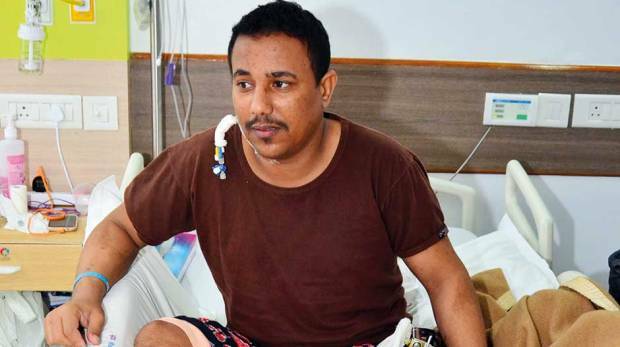 He sustained serious injuries and his left leg was amputated in a hospital in Yemen. A lethal infection in his right leg threatened to make him lose that limb too, according to the doctors. A surgery conducted at the VPS Rockland hospital in New Delhi, India, after having brought the infection under control, saved his right leg. Ahmad and his compatriot Abdu Ali Omer, 42, who lost all five toes of his right leg in a landmine blast, have both been fitted with artificial limbs. Ahmad and Omer have no words to express the joy at the positive transformation in their life. Ahmad said: â€œI am grateful to the UAE Government and the hospital in India for giving me this new life. I never expected that I would be able to walk again. I donâ€™t have words to express my gratitude,â€ he said from his hospital bed with the help of a translator, when Gulf News visited the hospital last week. There are 139 Yemeni patients who reached India in two batches in April and June for medical treatment as part of Emirates Red Crescent (ERC) humanitarian mission announced by the UAE leadership. 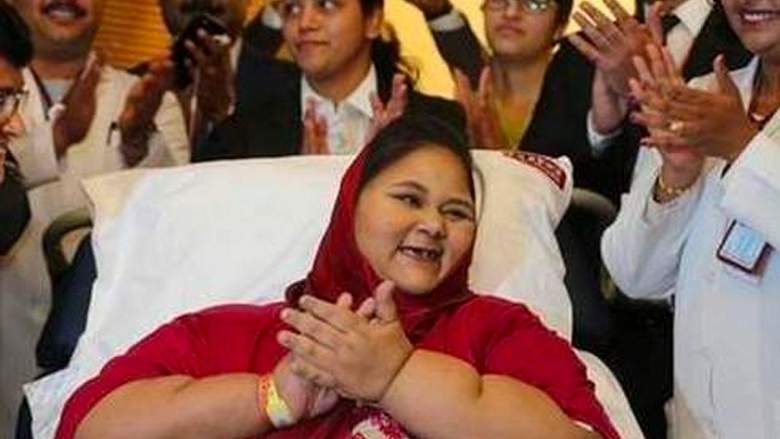 The UAE Embassy in New Delhi has been regularly following up the wellbeing of the patients at the hospitals, said Dr Ahmad Abdul Rahman Al Banna, UAE Ambassador to India. 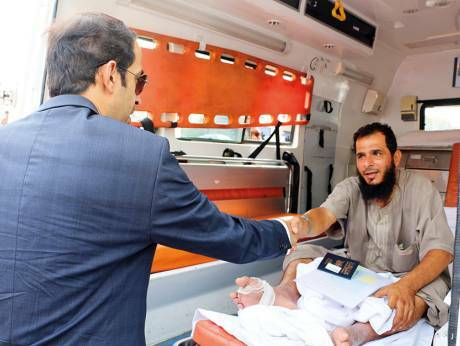 Navdeep Singh Suri, the Indian Ambassador to the UAE, said the decision of the UAE Government to send Yemeni patients to India is a testimony to the exceptional ties between India and the UAE. 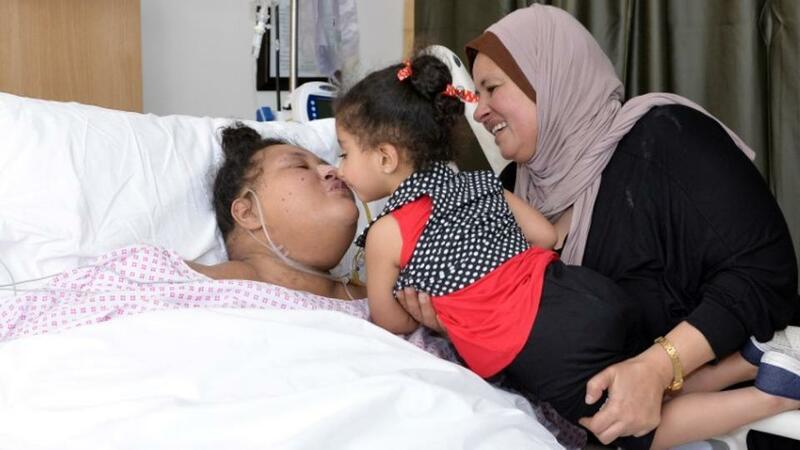 The doctors said Ahmad and Omer could lead a normal life like anybody else. Dr Gurdeep Singh, Senior Consultant-Orthopaedic Joint Replacement at VPS Rockland hospitals in Delhi, said the management of amputation involved two parts â€“ medical and psychological. He said the Yemeni patients displayed very strong mental courage that helped them deal with their situation successfully. This positive attitude, he said, would help make moving on in life easier.